The Rivers state All Progressive Congress (APC) Party Secretary, Chief Emeka Beke was Involved in a Car Accident on his way to the party Secretariat. 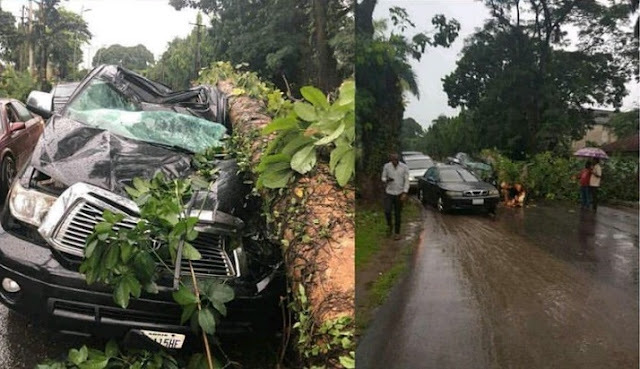 According to reports, Chief Emeka Beke's vehicle was heading to APC Party Secretariat just by Port Harcourt Club, a tree pulled off and fell on his car. Chief Emeka Beke is Hail and Healthy. Though one of his aid was rushed to BMH where he is taking treatment.